Happy Foodie Friday!!!! Let’s see, this week I tried my hand at a soup. 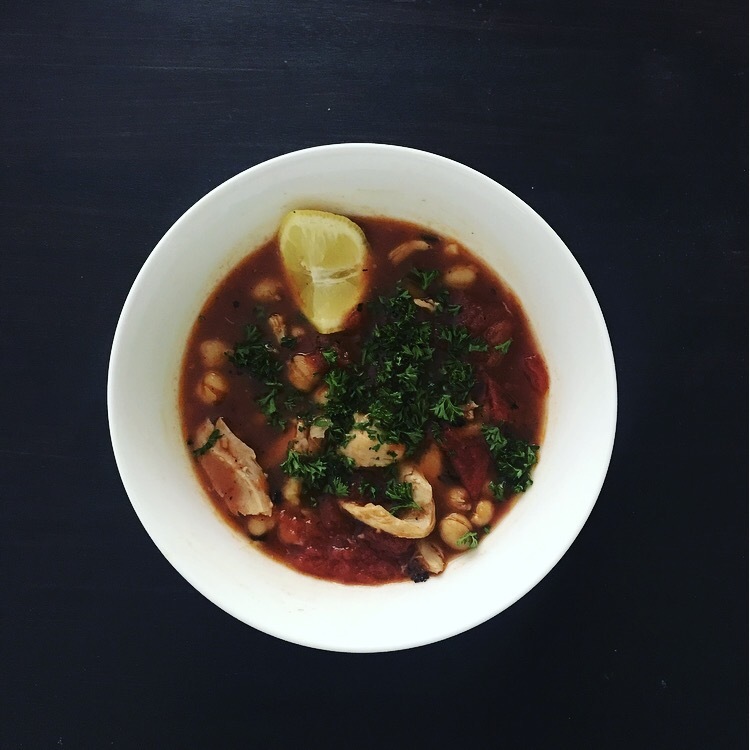 I LOVE soup….or maybe it’s better to say I have a healthy obsession with soup. This recipe I found while scouring the web for quick delicious meals that don’t require a ton of free time besides throwing everything in a pot. The Chickpea and Chicken Soup solved that problem. This dish has a good amount of developed slightly spicy flavor from the chunky whole tomatoes, cayenne, and paprika. Because the chicken legs are cooked in the broth prior to shredding the meat, you get another added layer of depth to help build on. My favorite thing about this dish is the finishing touches of the earthy parsley and zing of lemon juice at the end. Hubby and I added more parsley than the recipe called for, but hey, to each their own. Our soup was light, yet curiously filling and a great end to a busy week. Give it a whirl sometime, see what ya think! Til next time, happy eating!! !